New Thursday video is HERE! 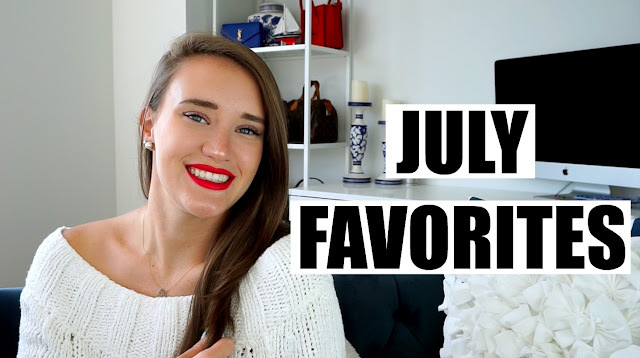 A huge July favorites and clothing haul. Please be sure to subscribe and watch the full video below! Omg too funny. I got sent that Clarisonic randomly from a PR company this month too. It was such a random thing to receive without any previous email but I love Clarisonic and love the new MiaFit. Also, my husband got an Alexa like a year ago and I was like what the hell is this thing. Now I love it and totally admit he was right to get it! Love your videos so much! Definitely a highlight of my Thursday's! Very excited to try the Clarisonic MiaFit based on your recommendation! You are awesome!! I love it . it is very beautiful. And i am waiting for the next post. I've had an echo for about a year now! If you want to find out all the fun things she does you could go to reddit.com/r/amazonecho. She can control your lights and do household stuff!